Are you looking for the perfect ring bearer pillow? 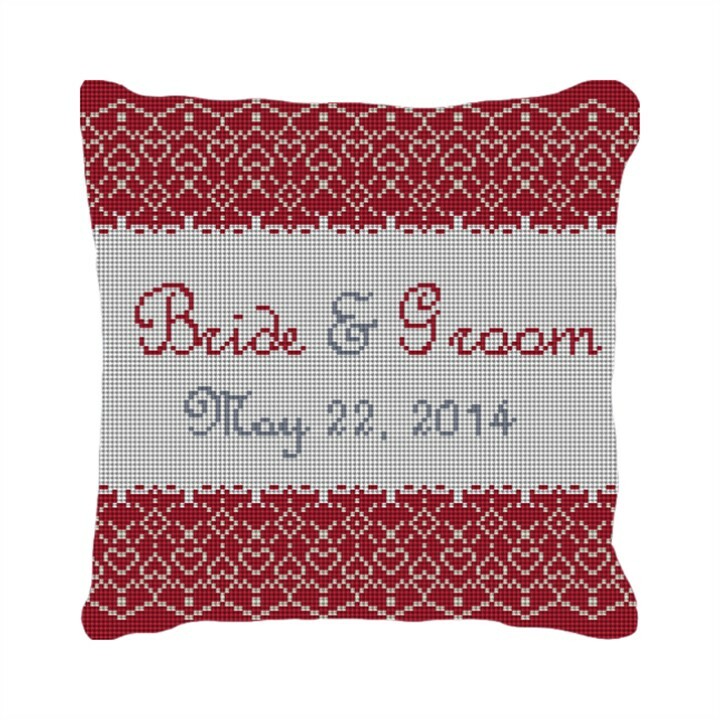 The red lace wedding pillow is an elegant new design for an elegant affair. If you look closely you'll even see a lot of hearts in the red lace pattern symbolizing the lasting love that is being founded on the special occasion. The Bride's and Groom's names will be stitched using French script letters and the date will be adjusted. The background colors can also be adjusted.